As a parent, you want to see your child as happy and healthy as they can be. When your child is diagnosed with a disability, however, it can be tempting to show pity and remorse over their condition. Doing so can actually make it more difficult for them on the playground because they will be left feeling different than the other children. Keep in mind that even disabled children still view themselves as full of life and vigor and want to be treated just like any other child. This is particularly important in school, where they are surrounded by other children and want to fit in. However, with braces and other equipment necessary to help them, this is not always easy. Here are five ways you can make school more manageable for your child with cerebral palsy. 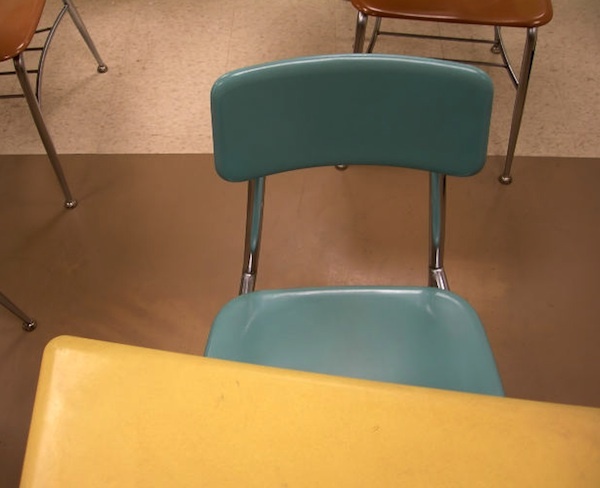 Talk to the teacher ahead of time – For many children, this condition can limit movement and they may require special accommodations in the classroom for seating arrangements and learning activities. Talking to the teacher before the school year begins allows parents to ensure that the teacher is aware of the child’s condition and any special requirements will be taken into account under the radar to make it easier on the child. Empower them with knowledge – When your child is inevitably asked on the playground, “What is cerebral palsy?” empower them with a clear answer so that they can be confident and ready to describe their condition. This way, they will feel less afraid to talk about what is going on with their body. Treat them as normally as possible – Many parents want to protect their child from the struggles they will face, such as increased difficulty playing sports. Instead, encourage normal activities and behavior as much as possible and treat your child as if they did not have the condition at all. Provide them with nutritious food – Nutrition is important for children with any sort of disability, but with this one in particular, malnutrition is common. Keep your child fueled throughout the school day with proper food so they are left feeling their best physically. Include the student in parties – Social gatherings are a big part of the school experience. If your child is invited to a party, make sure you allow them to take part in the social scene as much as possible. Children with this condition undoubtedly face extra challenges at school. But with some help from you, their school experience can be made easier. @Penelope, I know, isn’t it? Breaks my heart. This is good to be aware of, even though I don’t have a child with cerebral palsy. I think all children should always be included, no matter what. My son is autistic, and I always talk with his teacher before school starts. I would think talking to them beforehand would be an excellent thing to do, and creating an open dialogue for questions would also be wise. @Liz – that is so important I think… open and continuous communication. As a teacher, these tips will come in handy. Thanks for sharing! Those are great tips for all kids, especially those with special needs.